Saeki, Kumiko. “Feeder-Free Culture for High Efficiency Production of Subculturable Vascular Endothelial Cells from Human Embryonic Stem Cells.” Human Embryonic and Induced Pluripotent Stem Cells. Humana Press, (2012):77-294. Toyoda, Masashi, et al. “Generation of Induced Pluripotent Stem Cells from Human Amnion Cells.” Human Embryonic and Induced Pluripotent Stem Cells. Humana Press, (2012): 249-264. Akasaka, Tsukasa, et al. “Maintenance of hemiround colonies and undifferentiated state of mouse induced pluripotent stem cells on carbon nanotube-coated dishes.” Carbon 49.7 (2011): 2287-2299. Kumazaki, Tsutomu, et al. 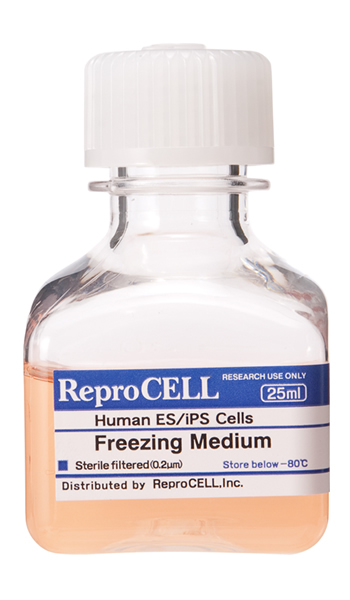 “Establishment of human induced pluripotent stem cell lines from normal fibroblast TIG-1.” Human cell 24.2 (2011): 96-103.